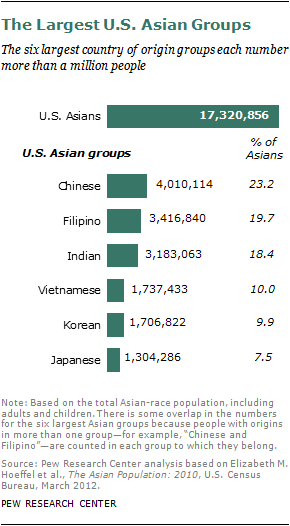 The Pew Research Center survey was designed to contain a nationally representative sample of each of the six largest Asian-American groups by country of origin—Chinese Americans, Filipino Americans, Indian Americans, Vietnamese Americans, Korean Americans and Japanese Americans. 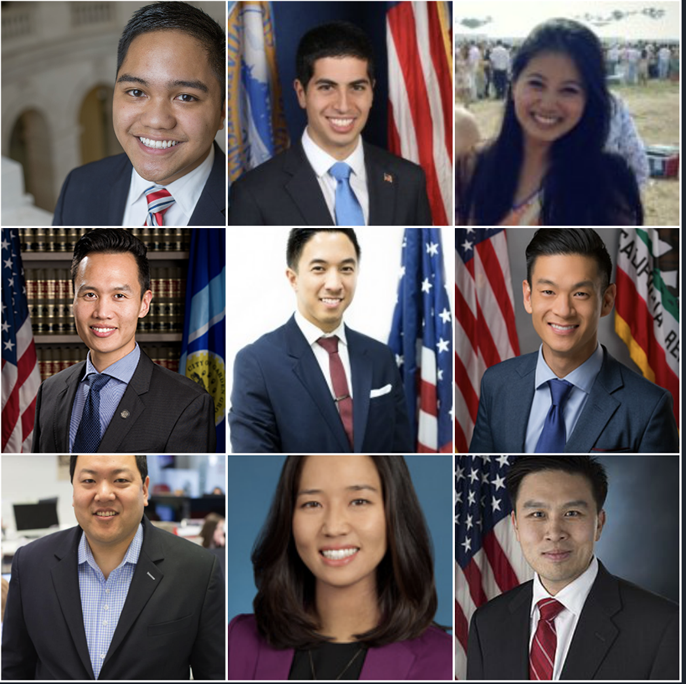 The Asian American groups that have low educational attainment and high rates of poverty both in average individual and median income are Bhutanese Americans, Bangladeshi Americans, Cambodian Americans, Burmese Americans, Nepali Americans, Hmong Americans, and Laotian Americans. I don’t like the term "Asian" as a race/ethnicity really. Basically the Native Americans are "Asian-Americans" in reality, speaking to the fact that they came from Asia, from what is now Mongolia and Russia (Asian seciont of Russia). Additionally, the Trinity College survey found that 8% of Asian Americans are Muslim; many of these Muslim Asian Americans come from, or trace their ancestry to, Bangladesh, China, India, Indonesia, Malaysia, and Pakistan. 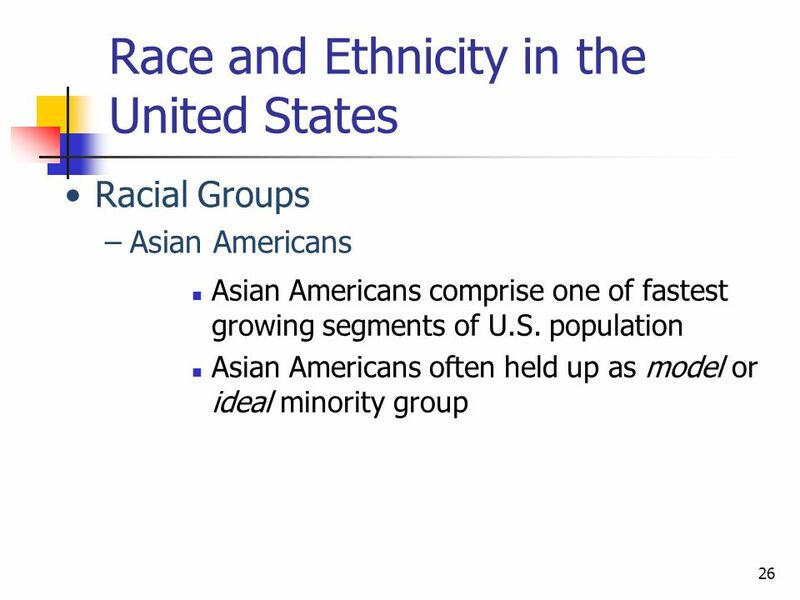 Comprise for 16.38% of the Asian American population and 0.58% of the US population. South Asian Affiliation Indian Americans, known more commonly as Asian Indians (to differentiate them from American Indians) comprise the largest subgroup of South Asians consisting of people from Pakistan, Bangladesh, Nepal and Sri Lanka.